New York City Haiku, which I won from Library of Clean Reads. Searching for Mr. Tilney by Jane Odiwe from the author for review. What secrets lie at the heart of Jane Austen’s teenage journal? When Caroline Heath is taken to Bath in 1975, she little expects to find the gothic adventure she craves, let alone discover Jane Austen’s secret teenage journal, or how it’s possible to live in someone else’s body. Yet, she’s soon caught up in a whirlwind of fantastic events – travels through time, a love story or three, and even the odd sinister murder – or so she thinks. As the past and present entwine, Jane’s journal reveals a coming of age tale, set against the scandalous backdrop of Knole Park in Kent, and the story behind an enigmatic portrait. In Bath, a Georgian townhouse acts as a portal in time, and Caroline finds herself becoming Cassandra Austen, a young woman making her debut in society, torn between family duty and the love of her life. As the riddles unfold, and the lines blur between illusion and reality, will Caroline find the happiness she seeks or will she indulge her wild imagination, threatening her future and a fairy tale ending? Jane Austen Lives Again by Jane Odiwe requires readers to suspend disbelief, and those fans of Jane Austen who wish she had written more than her 6 novels will surely have no problem doing that. Her death is averted by her physician, who has discovered the secret to immortal life with the help of the Turritopsis dohrnii in 1817. When Austen awakens she is in 1925, just after The Great War. Many families, including rich families, have fallen on hard times and experienced great loss as many lost sons, brothers, and husbands in the war. Times have changed for women, and Austen is able to get work outside the home to support herself, and although her family has passed on and she’s effectively alone in the world, she pulls up her hem and gets to work as a governess to five girls at Manberley Castle near the sea in Stoke Pomeroy. Cora, Emily, Alice, Mae, and Beth are a bit more to handle than Austen expects, especially as she is a little younger than she had been before the procedure. Upon her arrival, Austen is faced with staff who are eager to gossip, which rubs her the wrong way because she prefers to make up her own mind about people. The heir to the castle, William Milton, is one person who keeps her on her toes, and as Austen gets caught up in the drama of others, she begins to realize that her life would be empty without the Miltons in it. Odiwe is one of the best writers of Jane Austen-related fiction, and it shows as she weaves in Austen’s own novels into her own novel. Emma, Sense & Sensibility, Pride & Prejudice, and more are illustrated in a variety of situations here, and Austen is at the center of them all. However, readers should be warned that Odiwe is not rehashing these plots point for point. Jane Austen Lives Again by Jane Odiwe is her best novel yet, and if there were something to complain about, it would be that it could have been longer. Jane Odiwe is an artist and author. She is an avid fan of all things Austen and is the author and illustrator of Effusions of Fancy, consisting of annotated sketches from the life of Jane Austen. She lives with her husband and three children in North London. Check out Jane Odiwe’s blog here. Mrs. Darcy’s Diamonds by Jane Odiwe is part of the the Jane Austen Jewel Box series and it is a quaint novella to pass the holidays with, especially as all of Pemberley prepares for the Christmas Ball. Set shortly after Elizabeth and Darcy get married, Elizabeth is just getting to know what her role is as mistress of Pemberley and the staff seem to admire her, even if Darcy’s aunt Lady Catherine does not. In addition to Lady Catherine and the Bennets, Darcy’s French cousins Antoine de Valois and his sister Louise are also to attend on the invitation of Lady Catherine. These distant cousins are barely known to the Darcy family, but Georgiana is quite taken with them and their exotic culture. Odiwe has created a full novella in that it doesn’t feel too short, and it will satisfy readers looking for more Jane Austen fiction. She has a firm grasp on characterization, particularly how Lizzy and Darcy would act with one another behind closed doors (though nothing too graphic) and in front of family, the servants, and society. All of these faces of the Darcys provide a round picture of their societal obligations as well as how different they are from many other aristocrats. Lizzy’s mother is the same as always, looking for suitors for her last daughters, Kitty and Mary, and still trying Mr. Bennet’s nerves. Odiwe’s Austen fiction is among the best every time, and readers will always find that they are engaged from the onset in the plight of the moment. In this case, one of the Darcy Diamonds goes missing, and with the ball coming up and the guests arriving, it is imperative that the new mistress of Pemberley find it. But beyond the missing diamond, the Darcy name could be scandalized as a mysterious man is set about dragging their name through the mud. Will Darcy find the mysterious man before its too late? Will the diamond be found? Readers will want to spend part of the day reading to find out! 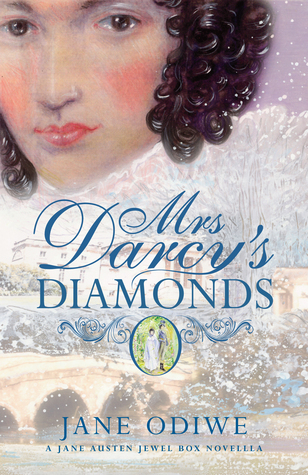 Mrs. Darcy’s Diamonds by Jane Odiwe is a lovely novella that will have readers rejoining Darcy and Lizzy in their happiest moments, while they still navigate the early days of a new marriage and plan a societal ball. Readers will thoroughly enjoy the company in this novel and revisiting old friends. 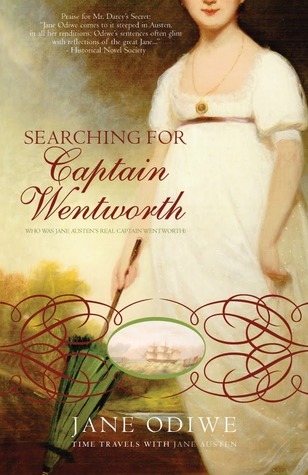 Searching for Captain Wentworth by Jane Odiwe is a time-traveling romantic novel in which Sophie Elliot uncovers her ancestors connections to her beloved Jane Austen when she visits Bath after a tough break-up with her boyfriend. Sophie is a young woman adrift after the end of her relationship and when she learns that she didn’t get the job she had hoped. Traveling to Bath, she has romantic ideas about what this famous city would be, but it is more bustling than she expects, until she reaches her family’s home and finds that she has stepped back in time. 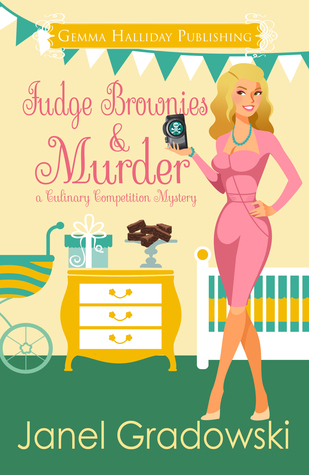 Sophie wanders around Bath and finds a white glove, which she believes must belong to her neighbor, Josh Strafford, who is putting together an exhibit at the local museum. His eyes are captivating, and his kind manner is endearing, but Sophie is not ready for romance, or so she thinks. As she uncovers the secrets of her family in the attic and upper rooms of the house in Bath, and a rosewood box she’s given, Sophie falls deeper into the past, becoming a part of it — taking a vacation from reality. In her vacation from reality, Sophie steps into the life of her namesake, Sophia Elliot, and learns that women are more constrained by society’s expectations than their clothes. Searching for Captain Wentworth by Jane Odiwe is about the love we seek when it sometimes is right in front of us. Sophie must learn how to stand on her own, to know what she wants, and to reach out and grab it while she can. Only when she has the resolve to be happy, can she truly take advantage of the opportunities and happiness before her. Odiwe writes this time-travel novel in a way that makes it believable and readers will be as swept up in the past as Sophie Elliot. 1. The Second Empress by Michelle Moran, which is for review from the author. 2. Searching for Captain Wentworth by Jane Odiwe from the author for review. Willoughby’s Return by Jane Odiwe reunites readers with Mr. and Mrs. Brandon and Marianne’s sisters Margaret and Elinor from Sense & Sensibility by Jane Austen. Truer words were never spoken about Marianne. She is the same impetuous girl from Austen’s book, even though she is married to Colonel Brandon and has a son, James. Her husband, however, has obligations to his ward, the daughter of his deceased first love, and her child–a child she had with Marianne’s first love, Mr. Willoughby. Drama, drama, drama fills these pages, just as they filled Marianne’s life in Ausen’s work, but Odiwe adds her own flare to these characters. Marianne continues to hide things from her husband no matter how innocent the situations may be and her jealousies drive her to make nearly scandalous decisions and snap judgments. 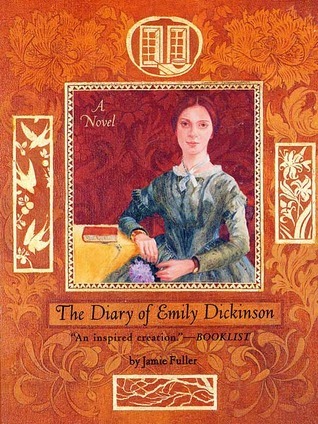 However, while this book is titled Willoughby’s Return, he is more of a minor character and his storyline with Marianne looms from the sidelines as her younger sister Margaret and her beau Henry Lawrence take center stage. Margaret is very like Marianne in that she is passionate, romantic, and impetuous. 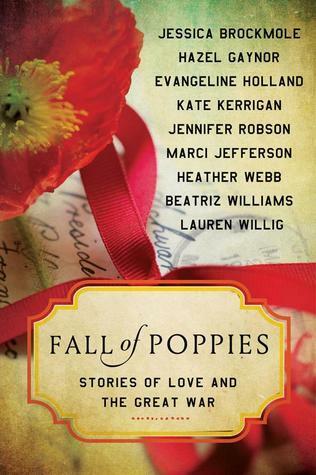 She’s opposed to marriage and Marianne’s matchmaking until Margaret sets eyes on Henry Lawrence. She falls head-over-heels for him, but Odiwe throws a number obstacles in their way. Readers may soon notice some similarities between Henry Lawrence and Frank Churchill from Emma by Jane Austen, but the romance unravels differently for Henry and Margaret than it does from Frank and Emma. Readers that enjoy Jane Austen’s books and the recent spin-offs will enjoy Willoughby’s Return — a fast-paced, regency novel with a modern flair. This is the 5th item I’ve completed for the Everything Austen Challenge 2009. I’m one item away from meeting my goal, which will be coming up either later this month or in December. Don’t forget the Willoughby’s Return giveaway, here. Additionally, I would like to thank Jane Odiwe and Sourcebooks for sending me a free copy of Willoughby’s Return for review. Clicking on title links will bring you to my Amazon Affiliate page, not purchase necessary. Jane Odiwe, author of Lydia Bennet’s Story (click link for my review) and most recently Willoughby’s Return (review forthcoming), took time out of her busy schedule answer a few interview questions. Most authors dealing with classic characters fell in love with them early on, but wanted something more. Is this how you felt about Willoughby, and what is it you sought to do that Jane Austen had not? Rather than falling in love with Willoughby, I suppose it was really that ideal of romantic love that I fell in love with early on, and the relationship that Willoughby first shares with Marianne Dashwood. Jane Austen painted him initially as the epitome of the dashing hero and that is very attractive! I wanted to discover if Marianne had truly recovered from the heartbreak that he caused and wondered how she might react if he re-entered her life. I also felt we needed to know more about Marianne’s relationship with Colonel Brandon who is her husband, a subject Jane Austen hardly touched upon. Willoughby is often considered the villain of Sense and Sensibility, is this what attracted you to writing about his character or was it something more? He is a villain, but I think his character is more complicated than that. I think a little part of me wanted to believe that he was not all bad and even Jane Austen made him remorseful in Sense and Sensibility. What was more important to me was examining the way Marianne perceived him – we see him through her eyes – and I wanted to take her feelings on a journey. Many readers are eager to know which character or characters authors most identify with, so in your latest novel, which of the characters do you identify with and why? I’d like to say Marianne or Margaret Dashwood, both romantic and passionate heroines who think with their hearts not their heads. Like Marianne, I can wax lyrical on a falling leaf from the sky and a picturesque scene, but that’s where the comparison ends. I think these days I probably identify more with Mrs Jennings, the interfering busybody friend of Colonel Brandon – I have a habit of asking totally outrageous and embarrassing questions of my children’s friends much to their great mortification! Why choose Jane Austen novels versus other classic authors’ novels? I just love them – I’m actually obsessed, as my family will tell you. Jane’s writing is the best and her books work on so many levels. I’m still discovering new wonders in every one, which is just as well, as there are only six. Who is your favorite Jane Austen hero and why? Captain Frederick Wentworth. The story of Persuasion has a special significance for me and that’s why he’s my favourite. It is the most wonderful love story – whenever I go to Bath my husband and I like to stroll along the Gravel walk and follow in the footsteps of Anne and Captain Wentworth. I also think Colonel Brandon would be gorgeous and I have to include Mr. Darcy in this trio of equally splendid heroes. I just asked my youngest son what he thought for an answer to this question and he immediately answered – your computer! I’m afraid it’s true, but it’s really my writing that is the obsession. I also Google anything and everything on Jane Austen every day – I told you I was obsessed! I’ve been reading Jane Austen’s Letters and Persuasion, Emile Zola’s The Ladies’ Paradise, Samuel Richardson’s The History of Sir Charles Grandison, Sarah Waters’ Dancing with Mr Darcy, and Sue Wilkes’ Regency Cheshire. I’d recommend them all. Finally, following Willoughby’s Return, do you have any other projects in the works? Do they deal with other classic literature or do you see yourself flourishing in the Jane Austen market? Sourcebooks will be publishing my next book, Mr. Darcy’s Secret, in the Spring 2011, so that’s exciting to be having a third book published by them. I have started two other books which are both Austen related. I have other non-Jane books I want to write, but I’m really happy living in Austenland at the moment. I’d be really interested to hear what kind of books your readers would like to see – more Jane Austen inspired fiction or maybe another classic author. What do you all think? 1. Leave a comment on which classic author you think Jane should take on next or if you think she should continue with Jane Austen. 2. For a second entry, leave a comment on my review tomorrow. 3. Blog, tweet, or otherwise spread the good word about this giveaway (@SavvyVerseWit) for a third entry. 4. If you follow, I’ll give you an extra 5 entries. If you are a new follower, you will get 3 extra entries. Be sure to leave a comment and let me know. Deadline is Nov. 11, 2009, at 11:59PM EST. Lydia Bennet’s Story by Jane Odiwe is a different type of sequel to Jane Austen’s Pride & Prejudice; it does not retell the lives of Elizabeth Bennet and Fitzwilliam Darcy, their children, or modernize their story as a 20th century romance. 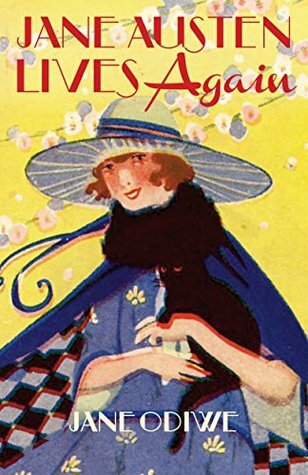 Lydia Bennet’s Story transports the reader back to 19th Century England to tell Lydia’s woeful and headstrong tail of romance and intrigue, rather than the tales woven by Jane Austen for Lizzy and Jane Bennet. We join Lydia on her journey from the balls at the Assembly in Hertfordshire, England, through Brighton, and Newcastle. Headstrong and willy-nilly Lydia is just as vivid in these pages as she is in Jane Austen’s novel. Although her character plays a minor role in Austen’s novel, she takes center stage in Odiwe’s, but with journal entries sprinkled amidst the storyline, the reader begins to see what motivates Lydia to act as she does in public and with the soldiers. As the youngest daughter in the Bennet family, she seeks acceptance and love in all the wrong places. Once in Brighton, Lydia is shameless in her pursuit of a husband and begins lavishing her affections on George Wickham. Despite his declarations that he can love no one, Lydia will have none of it, shunning Captain Trayton-Camfield, who seems to truly care for her. Lydia and Wickham run off to London together, and she expects them to get married, though it only materializes when Wickham is pressured by none-other-than Mr. Darcy. This is where Austen’s Pride & Prejudice leaves Lydia. Lydia Bennet’s Story does not miss a beat, Odiwe has a strong command of Austen’s language, style, and characters, but she puts her own flare on the wild maven that is Lydia. Despite winning her prize–Mr. Wickham–Lydia soon realizes married life to her charming soldier is not all she expected it to be as his gambling and womanizing continue. In a way, Odiwe’s Lydia continues to fool herself that Wickham’s character is merely misunderstood, but soon his character is undeniable, and she is forced to not only deal with her loveless marriage, but their poor station in life. Here Lydia expresses the evolution of her character and highlights how she has matured on this journey of love, hardship, and growth. She is no longer the silly, younger sister of Lizzy and Jane, but her own mature woman, though more bold than conventions are prepared to handle. 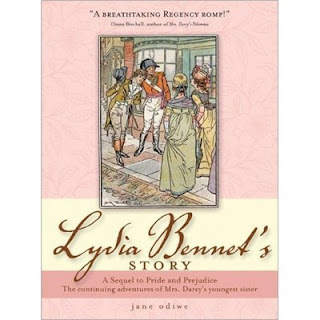 Readers of Jane Austen and Austen enthusiasts will enjoy this novel, but even those readers looking for a fast-paced “romance” will enjoy Lydia Bennet’s Story. Jane Odiwe is an artist and author. She is an avid fan of all things Austen and is the author and illustrator of Effusions of Fancy, consisting of annotated sketches from the life of Jane Austen. She lives with her husband and three children in North London. Check out Jane Odiwe’s blog here. Thank you to Danielle Jackson at Sourcebooks for sending Odiwe’s Lydia Bennet’s Story along for me to review, and stay tuned for a guest post from Jane Odiwe on Oct. 31. See what she and Lydia have to say about Halloween! Want to win a copy of Jane Odiwe’s Lydia Bennet’s Story, check out the guest post tomorrow to learn how.